The MCC offers a friendly, attractive, fun environment to its members for learning, enjoying, and mastering the wonderful game of tennis. The MCC features 2 indoor tennis courts and 3 outdoor courts available upon prior booking. Highly skilled instructors are assuring private individual and group training at an affordable price. MCC also organizes many tournaments with professional referees and valuable trophies. Don’t hesitate to contact the Sports Department. Whether you enjoy your tennis on grass, or prefer it on concrete, MCC will not disappoint you. 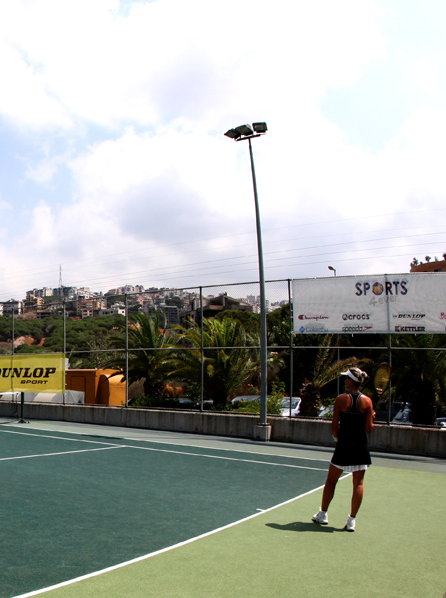 We offer two outdoor grass tennis courts and three indoor concrete tennis courts which are available for you. If it’s a sunny day, or if it’s a rainy day, you will always have your chance to play tennis. Reservations of courts are made through contacting the receptionist.